It was a miserable drizzly and foggy day. 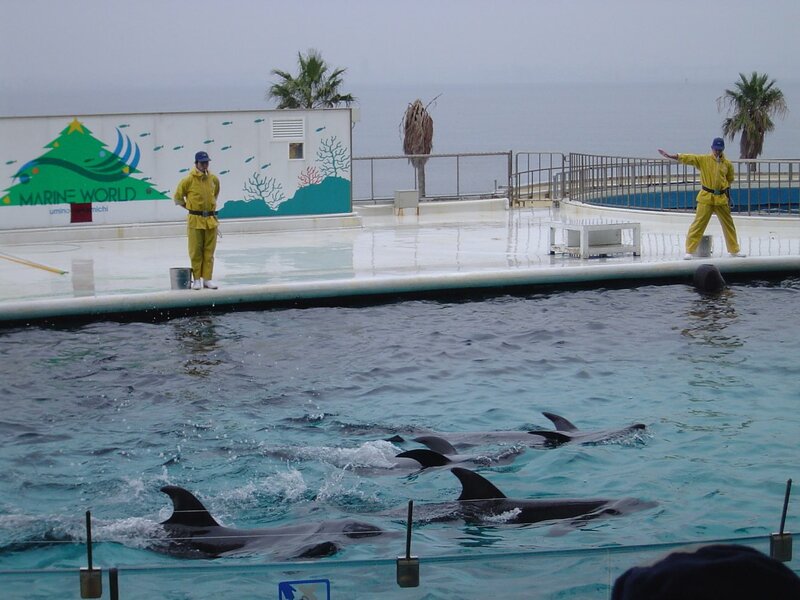 The dolphins could have splashed the whole pool onto us and nobody would have noticed. Marine World opened in 1989 and quickly had a expansion/remodel in 1995. 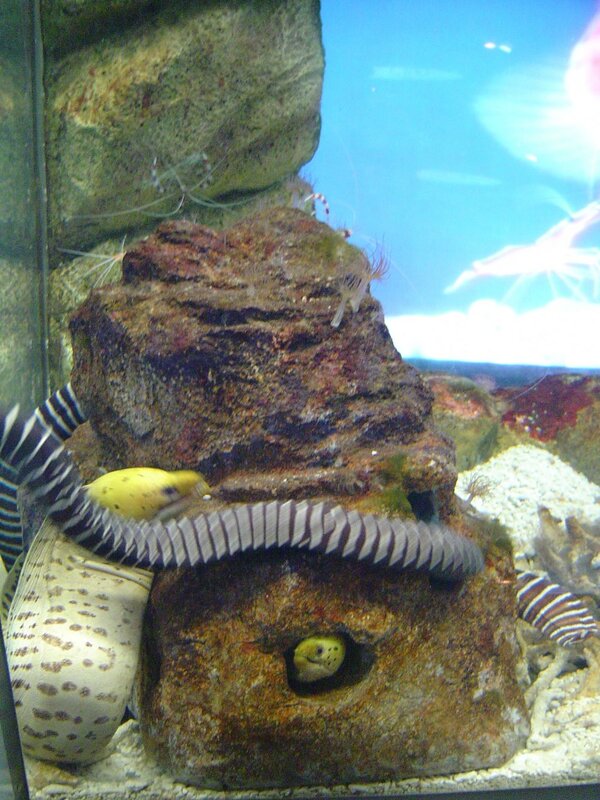 As a medium size aquarium, it choose having diverse collection over having any kind of consistent theme. If you can't be clever or big, be brash and compensate. 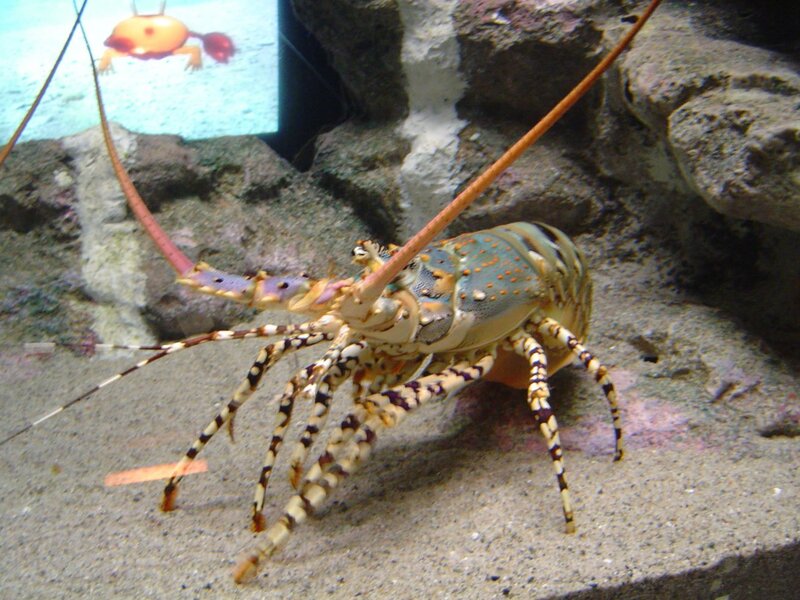 It's brashness shows by having exhibits of local animals mixed with tropical, temperate and cold water exhibits. On the whole, it is a nice if a little random collection. 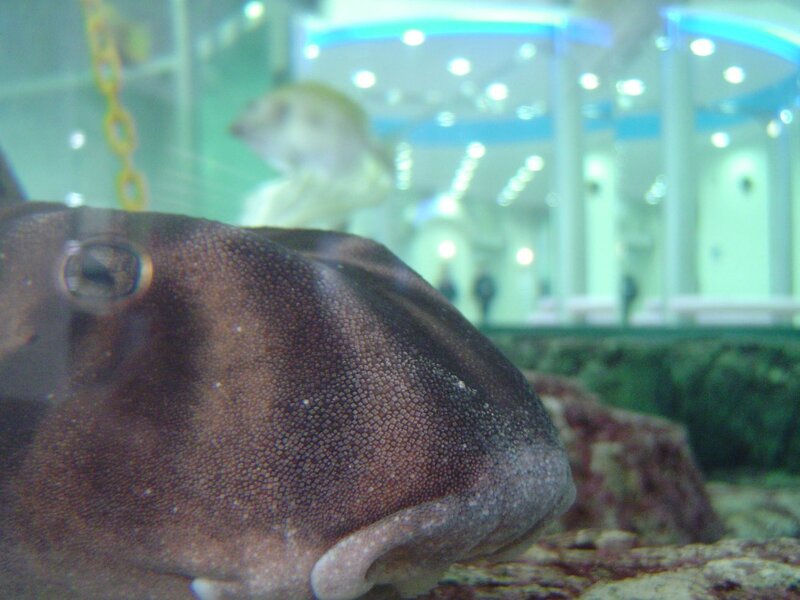 You'll see penguins, sea otters, tropical fish and more. There's tunnel tank, a ceiling tank and a so called panorama tank. 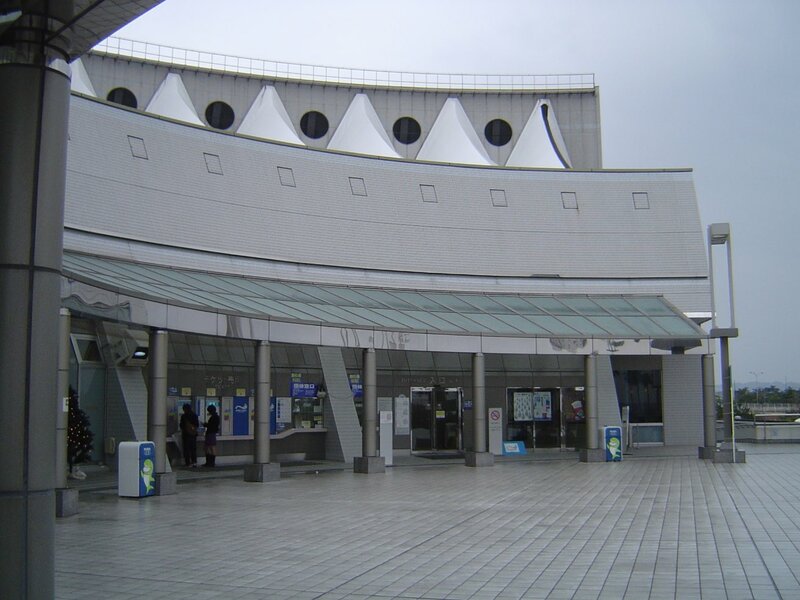 The later, while fairly big, has nothing on Kagoshima City Aquarium's giant tank. In 1994, the body of a rare megamouth shark drifted ashore in Hakata Bay. 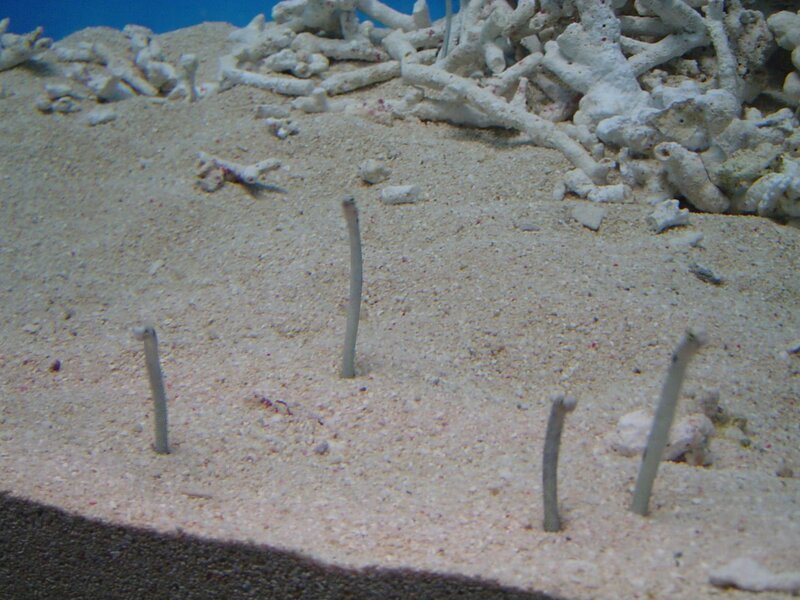 Formaldehyde has kept the aquarium's least active exhibit looking nice. Sadly, this is basically the extent of its rare animal collection. To compensate for its size, it has a number of high quality extras. The stage for the shows has a spectacular view out across towards Fukuoka City. On the whole, the show are very well produced. The dolphins and seals have a nice large tank to accelerate in for crowd pleasing leaps. 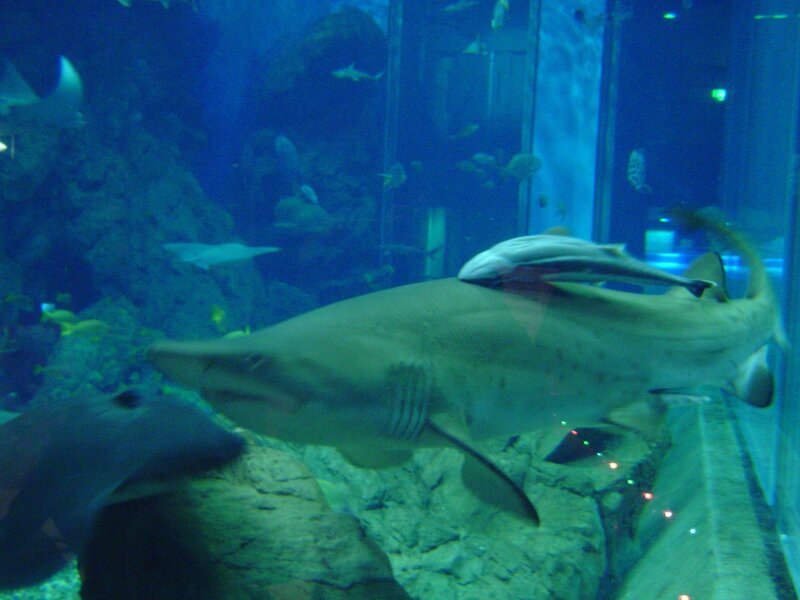 Marine World also has one of the best situated aquarium cafeterias. 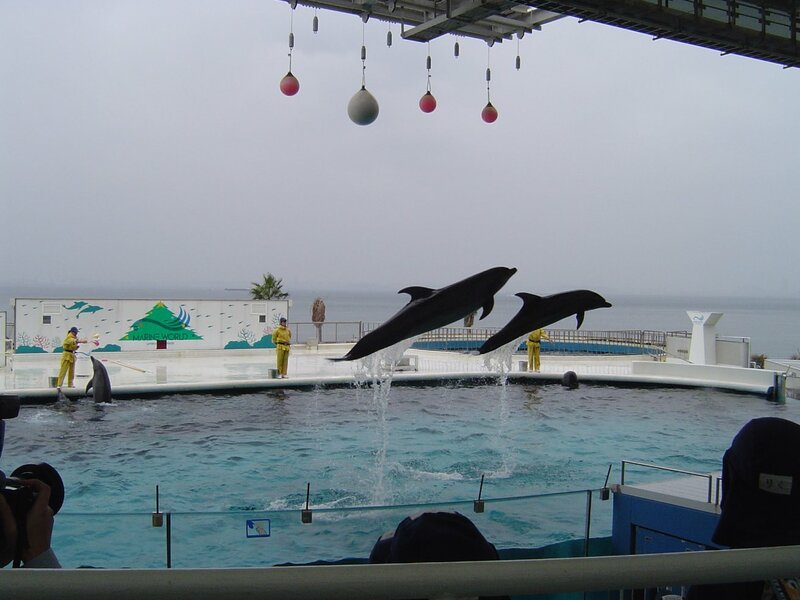 Its seating is located next to a giant underwater window into the dolphin tank. Bright and crisp tropical fish tanks are placed throughout the dining area as well. The food is reasonably priced and excellent for a cafeteria. 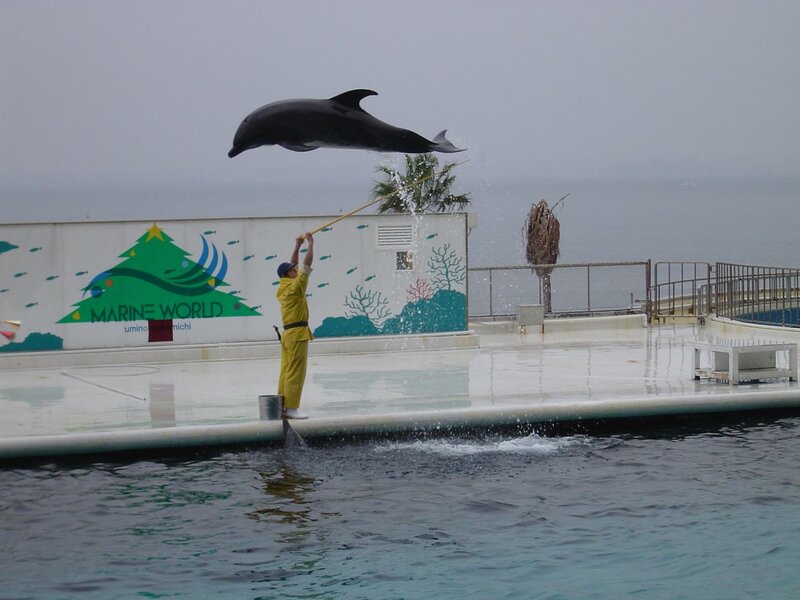 Marine World is one of many well run aquariums in Japan. 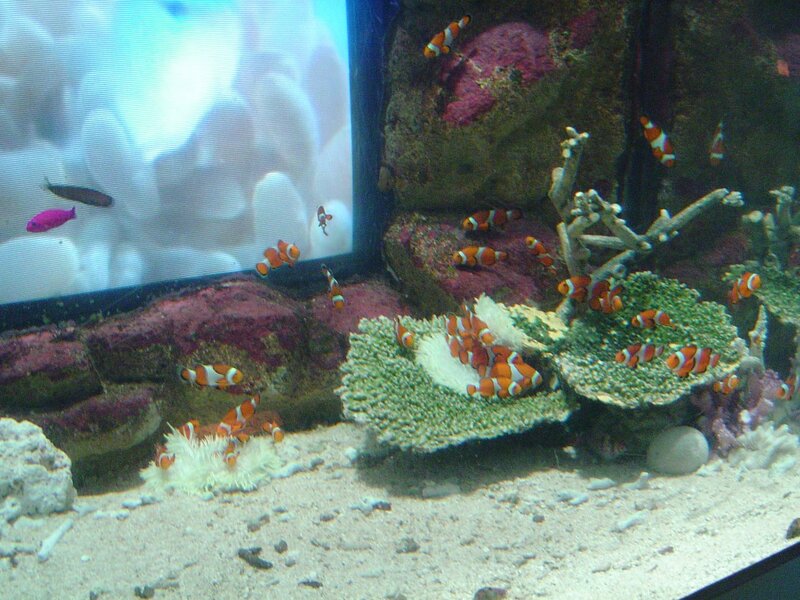 Compared to the other major aquariums on Kyushu, its ticket price seems a bit steep. Combined with the nearby park, it's doubtful any family would leave disappointed, though. Uminonakamichi Seaside Park (海ノ中道海浜公園) takes up most of the middle section of the narrow sandy peninsula that protects Fukuoka City's harbor. The name literally means "a path in the ocean" and is often shortened to Uminaka (海中). 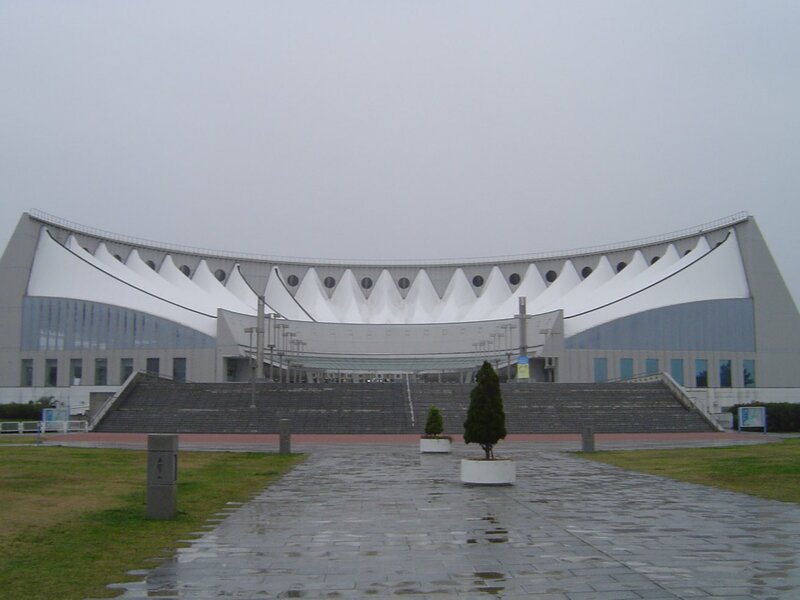 The park labels itself as the largest seaside park in Japan. Many families come here to leave the city worries behind and relax by the coast. As this is in Japan, there are strict rules about what sort of fun can be had (and where you can have it). While it occasionally gets crowded, grouping skateboards and RC cars with guns and swords and classifying them all as dangerous and prohibited items is a bit ridiculous. 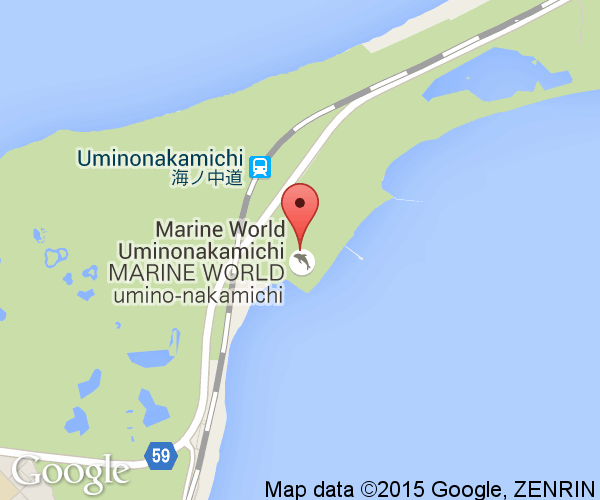 Marine World is on Uminonakamichi Peninsula in Fukuoka City and is part of Uminonakamichi Seaside Park. The peninsula can be reached from the city by ferry, train or car. The Uminonakamichi train line that goes down the peninsula connects with the north-south Kagoshima Main Line at JR Kashii Station. From JR Hakata Station (博多駅) in Fukuoka City, it takes just over 10 minutes to reach Kashii Station. Another 10 minutes will get you to Uminonakamichi Station. The bus and ferry leave from Bayside Place near the water in Fukuoka. All methods will take around 30 minutes total from Fukuoka City. 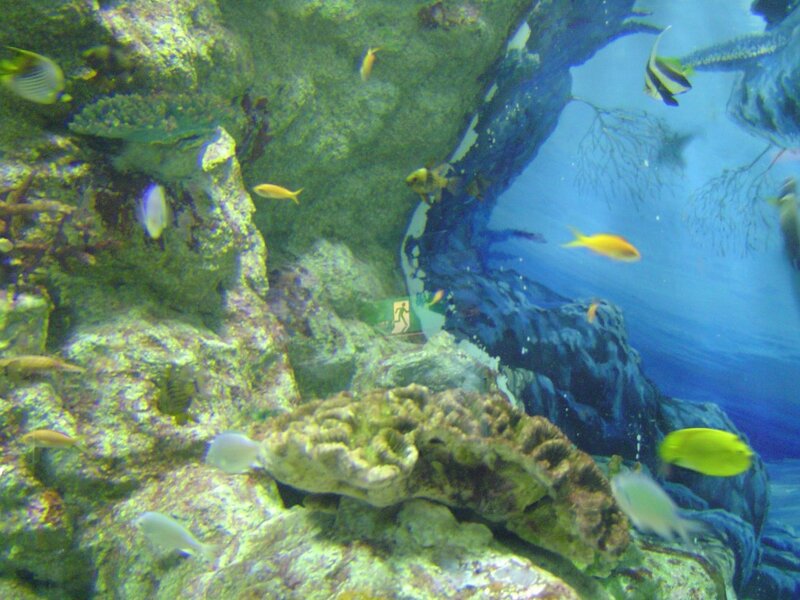 Note: Marine World alters their opening and closing time throughout the year. The hours listed above (9:30 am to 5:30 pm) are generally when they are open. They open at 10:00 during the dark days of winter. They are closed on the first Monday and following Tuesday in February. Please see their website for the correct hours of operation.